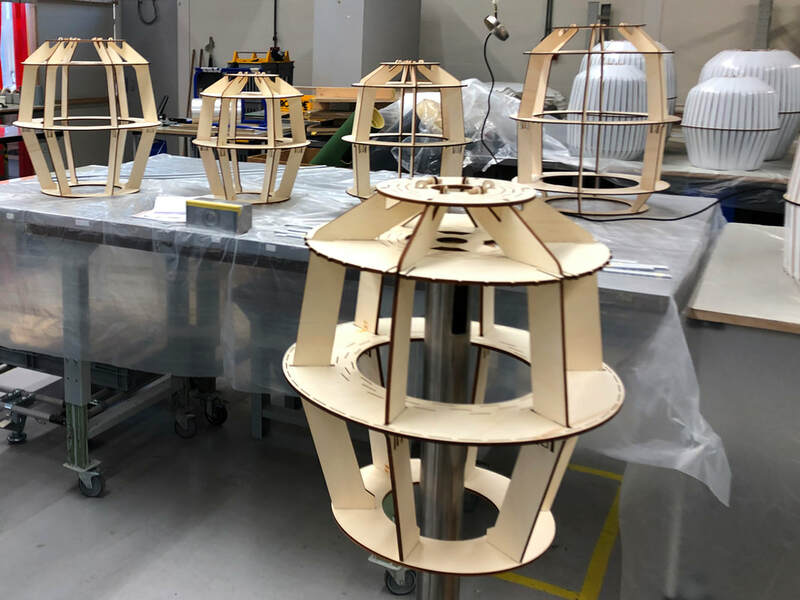 During Maison & Objet (18-22 january ’19) in Paris Dutch lighting brand Ay Illuminate launched the lamps Wren & Kiwi, designed by House of Thol. 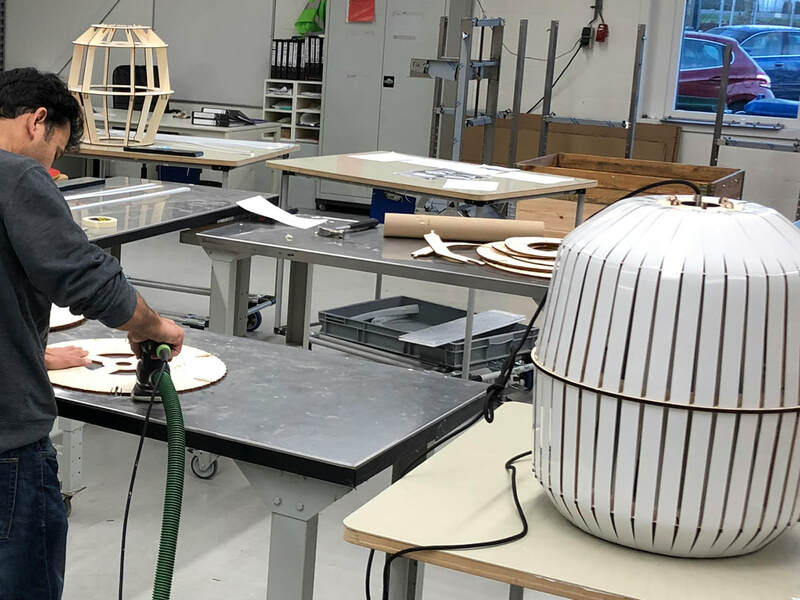 The sustainable lightshades, socially made in the Netherlands, add a new category to the Ay Illuminate collection that is mostly known for its use of Asian craft and natural materials. 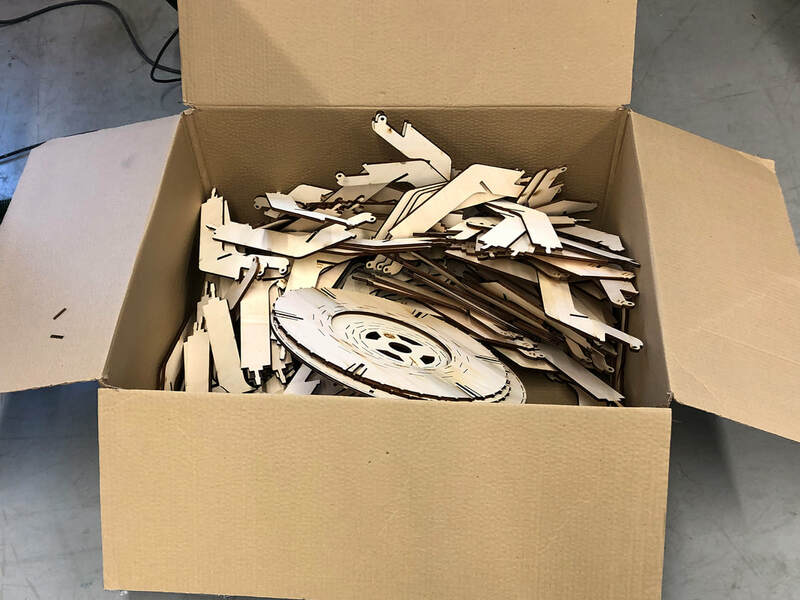 The Wren en Kiwi shades are produced in the Netherlands of 98% recycled aluminum Luxaflex slats and Ecoplex, from lightweight 100% PEFC certified poplar wood. The Ecoplex frames are CnC lasered at Nijmegen based company Samosa, and are designed to be shipped flat. The frames are subsequently assembled by clicking them together at social enterprise Tomin Group in Almere. Where the Luxaflex slats are handweaved around the frame one by one. 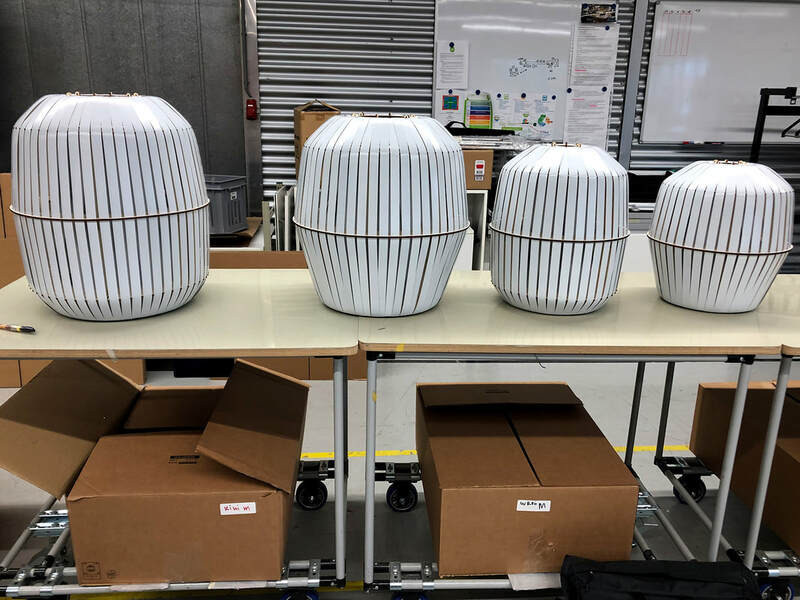 Because the lamp is put together without using glue and fixings, it can be completely disassembled, making it possible to replace damaged parts. 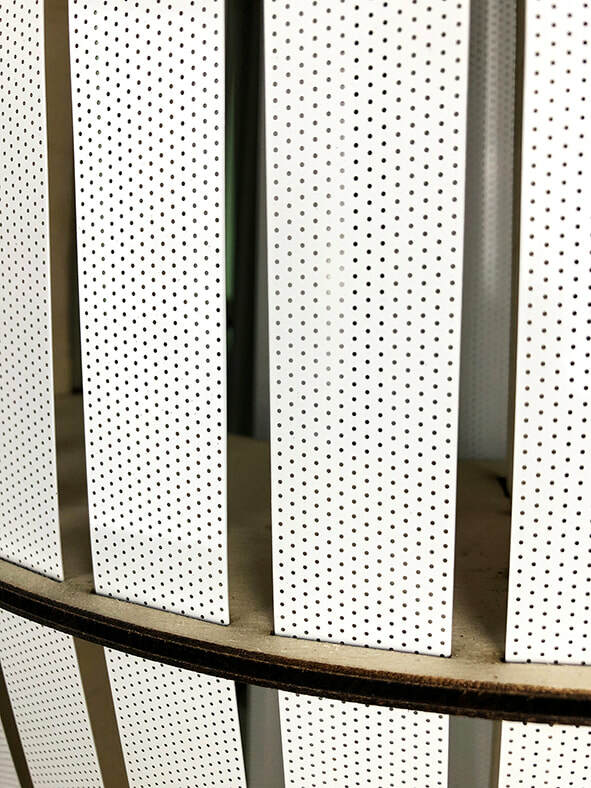 The layered perforated Luxaflex slats create a slight moiré effect and a subtle translucency with the light turned on. Wouldn’t it be great to create a lamp close to our home-base, using local materials, skills and styles? 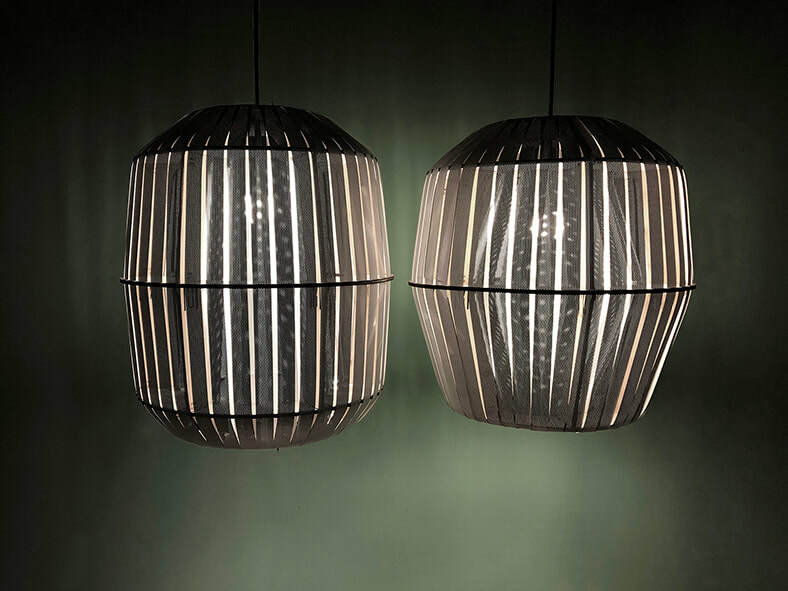 We’re delighted to present two new lamps, both firmly rooted in Dutch soil! For Wren and Kiwi, Dutch design studio House of Thol, took inspiration from locally recycled aluminum blinds. They bent and weaved the slats around a wooden frame, that consists of laser cut poplar panels. The complete production process is handled in the Netherlands at Tomingroep, Almere. This social enterprise provides employment for people with and without disabilities. Wren and Kiwi refer to the two types of small, charming birds. The layering of the slats produces a subtle moiré effect, adding a note of mystery to your space.